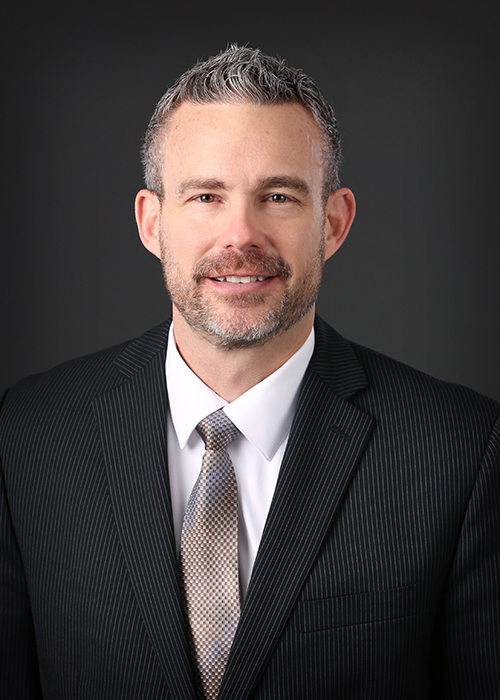 Henry (“Skip”) Schaeffer, is an associate attorney who has prosecuted for Campbell Knutson for over twelve years and has a well-rounded legal background. He began his career as a criminal defense attorney, including a mix of twelve years of part-time and full-time work for the First Judicial District Public Defender’s Office. Today, he is an exclusive full-time prosecutor with Campbell Knutson, handling countless court trials, jury trials and other contested evidentiary hearings each year, and manages the City’s response to all petitions for expungement of police and prosecution records. Practicing law since 1993, Henry has nearly twenty-five years of experience in the area of criminal law in the State of Minnesota. His practice is currently focused on the Dakota County court system. Well respected amongst the district court bench and court administration, he has earned a seat as a city prosecutor representative of the Dakota County Criminal Courts Partner Workgroup, which is instrumental in determining policy within the Dakota County judicial system. In his current practice, Henry works closely with the patrol officers and investigators of the cities that he serves and is available 24/7 for consultation by officers and command staff of each department. His position requires the prosecution of a wide range of traffic and criminal cases from pretrial hearings through trial, including DUI’s, domestic assaults, stalking, harassment, thefts, and housing code violations. He is an invested member of the legal community and was the 2016 winner of the Outstanding Prosecutor Award at MADD’s Statewide Recognition Awards. As a Dakota County resident for over twenty years, Henry and his family have a vested interest in their community, local law enforcement, and charities. This includes being a five-time “veteran” of the South Metro Law Enforcement Polar Plunge (brrrr….! ), and running with local law enforcement at the 2017 Torch Run for Special Olympics. He is an avid runner, hunter, and outdoor sportsman. In his spare time, he enjoys playing competitive sand volleyball and working with youth baseball and the Boy Scouts of America.